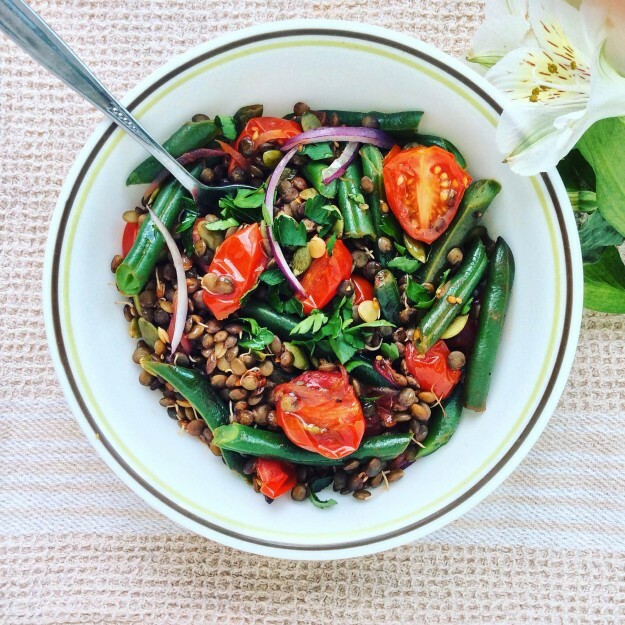 Bio-Bud Sprouted Lentil Salad with Green Beans & Cherry Tomatoes | ShaSha Bread Co.
A super quick and easy sprouted lentil salad that’s nutrient-dense, protein-packed and mixed with colourful vegetables. This meal works great on its own as a Meatless Monday favourite, or as a side to any meal, any day of the week. Perfect for those who who want to prepare nutritious meals without spending too much time in the kitchen, and with organic, non-GMO ingredients. 1. Sauté onions with 2 tablespoons olive oil in a sauce pan over medium-high heat for 2 minutes. Add cherry tomatoes and stir gently for 2 minutes or until the cherry tomatoes start to blister. 2. Add green beans to the sauce pan and stir for 1 minute, then add Bio-Bud Lentils and lemon juice. Stir for 2-3 minutes to let all the flavours combine. 3. Add pumpkin seeds (save a few to garnish) to sauce pan and stir to combine before removing sauce pan from heat. 4. Place in a large dish, drizzle with olive oil and apple cider vinegar, season with salt and pepper and gently toss. 5. Garnish with remaining pumpkin seeds and parsley or cilantro. *To blanche Bio-Buds, soak lentils in cold water for 7 hours. Using 4 liters of boiling water, cook mung beans and lentils for 5 minutes. Then rinse under very cold water for three minutes.